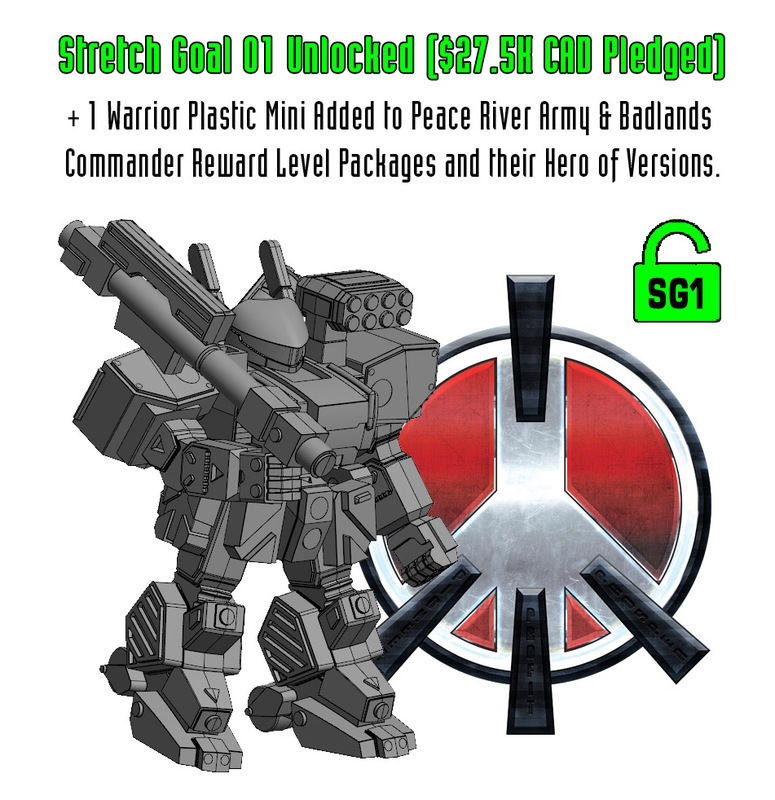 Dream Pod 9: Peace River & NuCoal Kickstarter Stretch Goal 01 Unlocked! We unlocked our first Stretch Goal today with $27.5K CAD Pledged, thank you to all our Backers. We'll be adding 1 more Warrior plastic mini to the Peace River Army & Badlands Commander Reward Level Packages and their Hero of Versions. You can show your support for Heavy Gear Blitz by clicking on the link below and making a pledge today! Home › Blogs › Robert Dubois's blog › Peace River & NuCoal Kickstarter Stretch Goal 01 Unlocked!